The plethora of subwoofers available in the market now are simply mesmerizing. Almost all loudspeaker manufacturer has subwoofers of their own, well, except Zu Audio, for now perhaps?!?! We (Chin Foo, Damien, Brenda and Ken) had a chance on 6/22/2011 to audition the Sunfire HRS-12 at a friends' home theater system in Bagan Lallang, Butterworth, Penang, on a mission to find a subwoofer that meets our requirements - to match with high efficiency loudspeakers! Ken is a bass freak and has been on the hunt for a, or a pair of decent subwoofers since a long time ago. With the newly acquired Zu Audio Soul Superfly, the task has become daunting as the Soul Superfly loudspeaker is an ultra fast sounding speaker. Go to Ken's audio system. Check out the Zu Audio Soul Superfly speaker driver above. With the double roll surround, crossover-less design, transient responses will be very fast, and that equals to very fast bass. That matches well with the listening impressions we've got. Therefore, Ken has to find subwoofers that is fast enough to match the speed of the Zu Audio Soul Superfly. Something with similar driver design would be even better. So far, the home audio subwoofers that uses double roll surround that we're aware of is only the WLM Basic Duo and Duo 18. In addition, subwoofers with sealed enclosure and high power amplifier would be desirable too to sum up to a fast, deep and taut bass characteristic. The Sunfire HRS-12 fits the requirement from the initial brief listening except on the double roll surround side. It dives deep and bass is fast and taut! I could not sense wooliness and I could feel that the bass is always in control. Specifications wise, it is quite impressive too. 1000 Watt amplifier, 16Hz - 100Hz, 108dB SPL, 12" high excursion driver, 38lbs weight, everything looks pretty good! The Sunfire HRS-12 owner placed the subwoofer on a special platform too and commented that he prefers it that way as it has improved the bass significantly. Upon close inspection, it is the Auralex Subdude(HD). 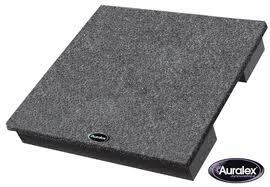 The Auralex SubDude(HD) is a 15" x 15" x 2.5" platform wrapped with ozite to fit any room setting. 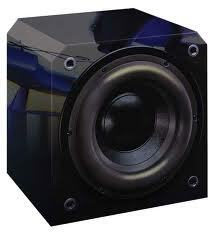 Its purpose is to prevent sound from transmitting through your subwoofer to surrounding surfaces. It works, and it works marvelously! Auralex Subdude is divided into 2 sections, the top plate and the soft foam bottom. 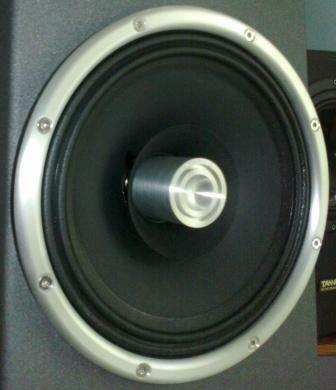 I place my hand on the top of the Auralex Subdude platform and I could feel the MASSIVE vibrations due to the subwoofer. When I move down the platform to the bottom of the foam, vibrations is reduce to almost 10% or less! I could not be sure what the sound impact is since I did not try it with and without the Auralex Subdude platform, but this does prevent vibrations from the subwoofer to transmit to the equipment / racks nearby via the flooring. Although I couldn't comment more due to the short and unfamiliar songs, partnering equipment, environment, and etc, it is a very positive experience though. Hope I've a chance to audition it myself at home one day, partnered with the Zu Audio Soul Superfly! Do check out the prices & comments from the various users of Sunfire subwoofers and Auralex platforms below at Amazon.com. If you do have experience on using Sunfire HRS-12, Auralex Subduded or any related products, do let us know using the feedback form below! We'd love to hear back from you!